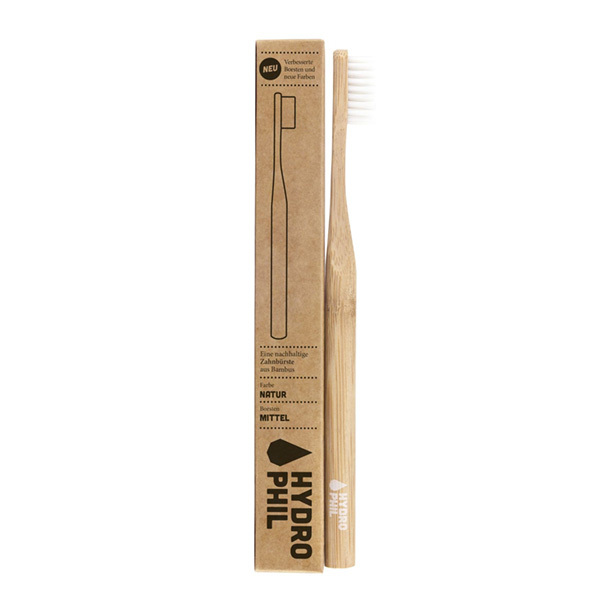 The Hydrophil bamboo toothbrush is sustainable & natural. It is produced without plastic and chemicals. 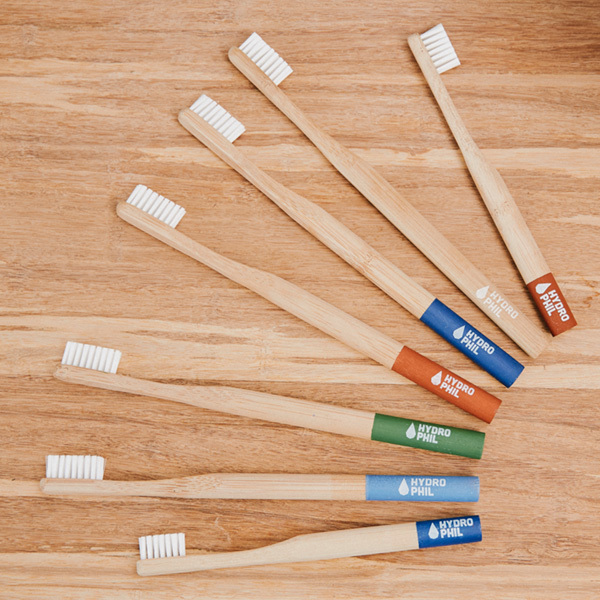 These bamboo toothbrushes are eco-friendly and completely sustainable. The toothbrush is 100% biodegradable, including the bristles and packaging. Sustainable, Eco-Friendly Toothbrush made from bamboo. The Hydrophil Bamboo Toothbrush, in the timelessly classic natural look, is reduced to the essentials. 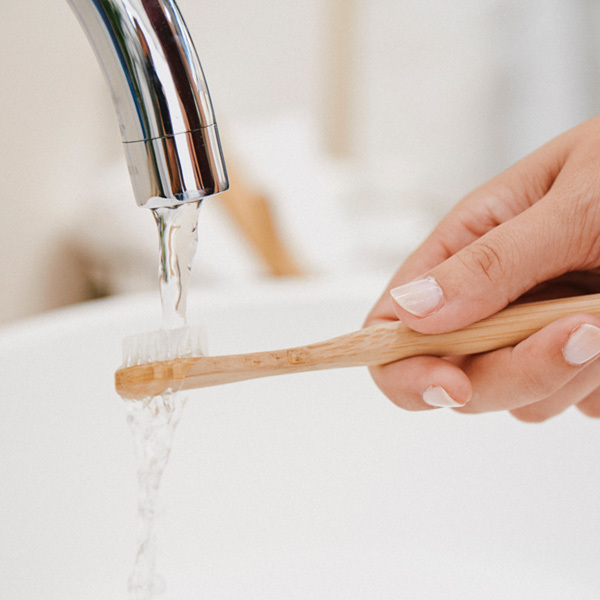 This toothbrush helps protect our environment by being a natural and plastic-free alternative to the common, less recyclable plastic toothbrushes. 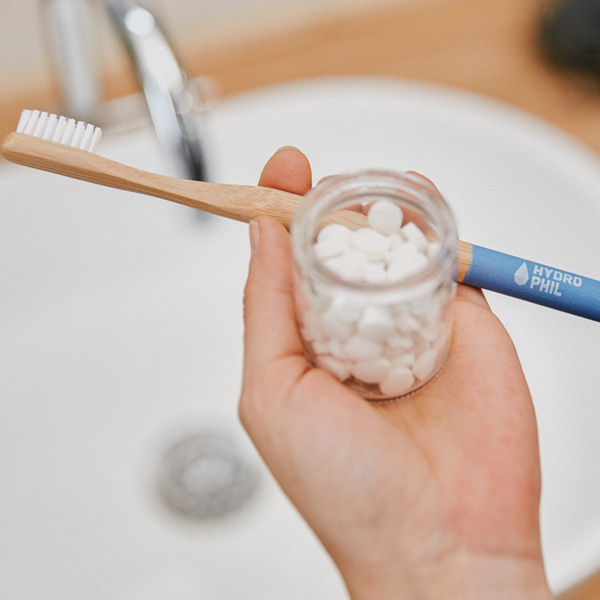 The Hydrophil Bamboo toothbrush is also made from particularly fast-growing bamboo and the bristles are made from castor oil. That’s not all, of course! Thanks to the medium-soft bristles made from renewable raw materials, the brush is ideal for plaque removal without undue wear on the gums. With our toothbrush, you can clean your teeth without unnecessarily polluting the environment.